Sterling silver and lapis bracelet by Joe Fish, aka Stumbling Bear. This has three medium sized lapis stones set on a double band of sterling silver. 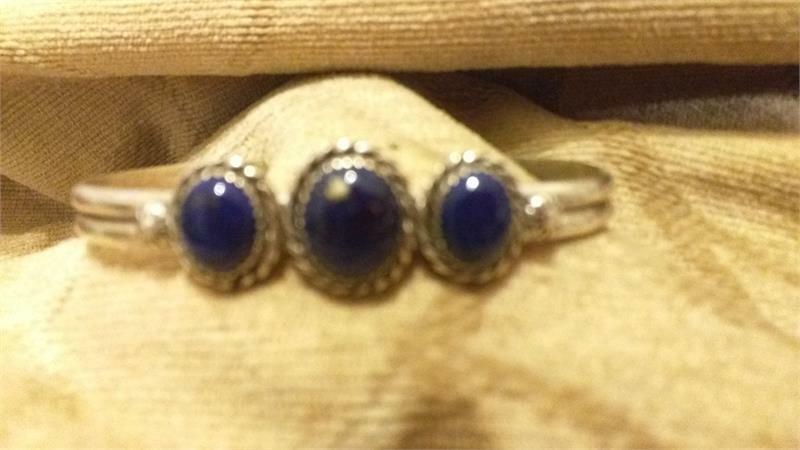 The lapis appears to have flecks of gold in each stone. It is adjustable, but was made for a medium to large wrist. As with the others, this is one of the last made by Joe before his stroke. Joe has passed away since leaving these with us, so there will definitely be no more.